After you have located an “Obligor” the next step is to find the assets so they can be seized and liquidated. Many of the same methods that are used to locate the obligor can be used to locate assets. Interest from stock ownership, etc. Virtually everything that belongs to the obligor can be construed as income or converted into income for your usage. You just have to know where to look and what to look for. A Judgment is just a piece of paper until collected. Judgments are not just a debt, they are a court order to pay and they carry all the powers of the court in order to collect it. Locating Assets can assist in satisfying a debt as well as help in contesting bankruptcies or proving fraud, but it is important to be sure you can collect before spending time and money on it. Assets are classed as either “tangible” or “intangible.” They are either personal property or real property. An individual’s personal property includes everything he or she owns. One way to hide cash is to bury it in a jar in your backyard. The subjects of asset search investigations have been known to use a variety of techniques. In one case involving three individuals, their wives and a $40 million defaulted loan, many bank accounts were located including several under names and social security numbers not belonging to the subjects. One of the subjects and his wife held only minor bank account balances in their own names and social security numbers. The wife, as a signer, had access to two other accounts with sizable balances. A signer on a bank account should have his or her name on the account but usually will not include a social security number. However, the signer has complete control over the funds in the account, including the ability to write checks and close the account. An individual thus may “legally” hide cash in the name of a company, child or spouse without losing access to the funds. The second subject was determined to be using three social security numbers. (According to law, each individual is limited to one social security number. However, the discovery of multiple social security numbers is a relatively common phenomenon in asset search investigations.) Asset searches using the three social security numbers identified less than $10,000, but turned up additional accounts associated with the subject under nine other social security numbers and four other names. The third subject and his wife were either operating above board or were particularly slick. Searches revealed that the couple maintained $50,000 in a single account. No other bank information was identified for that particular subject. In another case involving an individual and a $3 million debt deficiency, finding the cash proved interesting. The subject used a variation on the jar buried in the backyard idea. Private investigative sources revealed that the subject, who claimed to be insolvent, had been purchasing real estate at auctions with cash. In purchasing the real estate, the subject used a company name. Further investigation identified the company name as one of nine corporations in which the subject had a position as officer of director. This particular company had been involuntarily dissolved by the Secretary of State in the 1970s for failure to file annual reports. The legal status of the company was important because it provided circumstantial evidence that the business was not created as an operating company but rather to insulate the officers and directors from liability, giving the law firm the option to attempt to pierce the corporate veil. Yet another method for hiding cash involves transferring assets to another entity. Asset search firms are frequently asked to locate money and other assets that the client believes have been conveyed by a subject to a wife, child, business, friend or other party. Several methods exist for locating bank accounts in a subject’s name. Certain methods can identify recently closed accounts and recent transactions, including deposits and withdrawals. In one case involving a company and its subsidiaries, searches on the company and one specific subsidiary conducted twice monthly over a brief period showed a pattern of withdrawals and deposits that evidenced cash being transferred from the company to the subsidiary on a regular basis. 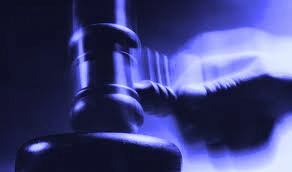 With regard to proving a fraudulent conveyance of liquid assets, attorneys also have the option of locating the bank accounts and subpoenaing bank records which may provide evidence of suspicious transactions. Locating and disclosing bank account information has become the most controversial areas in the asset search industry. One of the unanswered questions is whether the unauthorized identification and publication of bank account information constitutes an invasion of privacy. Firms use various techniques to uncover information including the credit and collection networks, information subpoenas and pretext calls. Some asset search companies no longer provide this kind of information and end users should consider the risk associated with requesting any type of liquid asset report. It is wise to make sure assets were not moved over to relatives, wife’s maiden names, or in-laws, etc. Find out the maiden name if you don’t already know it. Start with marital records research in the county courthouse if applicable. Individuals can have a beneficial interest in trusts without acting as trustees. In certain respects, real estate trusts are not a particularly good method of hiding real estate. Records of deeds, mortgages, declarations of trust and other real estate documents are maintained at registries of deeds in towns or counties throughout the United States. At more than half of these registries, records are cross-referenced from the real estate trust names to the names of the individual trustees. In other words, a check of the records at most registries of deeds will generally reveal property owned by a subject as trustee just as such a search would reveal property owned by the subject individually (or jointly with a wife, partner, etc.). The same is true of real estate ownership records at town assessors’ offices as most assessors’ offices cross-reference information. On the other hand, on-line sources of real estate are not likely to have real estate information cross-referenced from trusts to trustee (individual) names. Also, the on-line services typically have a limited history of transactions, collecting and maintaining records for a limited period of time. A second method of concealing assets using real estate trusts involves “trust” on the part of the individual concealing the assets. An individual can finance the purchase of property by a real estate trust with a spouse, child or friend as trustee. The individual would then have to trust the other party or parties to funnel money back in his or her direction. Since the individual would not be a trustee in the trust, the trust and trust property would not be cross-referenced to his or her name at the registry of deeds. In terms of asset searches such trusts and trust property would be located by searching under the spouse’s, children or friends’ names. However, proving that the assets belong to the individual would be difficult at best. Real estate trusts offer one very effective method for hiding assets, at least in certain states. An individual can hold a beneficial interest in a trust but not be a trustee. The trust can be set up so that one individual holds 100 percent of the interest in the trust. If the individual is not a trustee, the trust and trust property will not be cross-referenced to that individual’s name. Rarely will a registry of deeds cross-reference beneficial interests to individual names. Furthermore, in many states, trusts are not required to reveal the names of individuals holding beneficial interests. The trust documents may be recorded in the registry of deeds with no list of beneficial interests. In this way, tying individuals to property can become very difficult. Limited partnerships offer essentially the same opportunities for concealing real estate assets as real estate trusts. Also, as with trusts, many registries of deeds cross-reference information to individual partners’ names when those partners sign the real estate documents. In hiding assets, an individual may deed over his property to his spouse, child or other friendly party. For most asset search firms, fraudulent conveyance of real estate is easier to track than cash transactions. Real estate transactions involving an individual as buyer or seller can be identified using on-line services or records at registries of deeds. A fraudulent conveyance of real estate might be picked up as a transaction involving the subject as seller, for nominal consideration, and the subject’s wife as buyer. The date of the transfer might also be suspiciously close to the date of a loan default, bankruptcy filing or auto accident. In one case, a subject and his wife conveyed their home to the wife individually in a deed recorded one day after a drunk driving accident in which the subject killed another person. Individuals have several options if they want to hide personal property such as automobiles, boats, aircraft, jewelry or art. While state and federal agencies keep records of auto, boat and aircraft registrations, the amount of information contained in those records varies significantly. For example, state records may enable asset search firms to identify the make, model and year of autos, boats and other vehicles in a subject’s name. In some states, records may reveal only that a subject has a driver’s license. Furthermore, agencies do not maintain accessible records of transactions (changes in ownership) involving autos, boats or aircraft. Records are limited to property presently registered to a specific subject. In this way, tracking and proving fraudulent conveyance of personal property can prove more difficult than for real estate. Frequently, asset searches discover personal property of significant value. In one case, an individual proved to be a collector of extremely valuable antique automobiles. In this situation, the vehicles were registered in the subject’s name. In yet another case, an asset search identified an individual as owning two French impressionist paintings by the world famous artist Renoir. The asset search revealed the paintings through an identification of Uniform Commercial Code financing statements in the subject’s name. On one financing statement, the paintings had been listed as collateral. Asset search and information firms are among a select group that benefits from a litigious society. Litigation attorneys retain asset search firms before accepting a case, while deciding whether to file suit, during discovery and after winning a judgment. As a pre-litigation tool, attorneys use asset searches to decide if a case is worth pursuing. While the case is pending, asset searches help attorneys decide on strategies, specifically on when to settle the law suit and for how much. Post-judgment, attorneys use asset searches to locate assets to satisfy claims. In addition to litigation attorneys, lawyers concentrating in workout, bankruptcy, domestic relations, personal injury, environmental law and collections have added asset searches to their lists of available tools. In one case for a workout attorney, a search located $1.4 million dollars in the subject’s name and unknown banking relationships. The high divorce rate has also helped build the asset search industry as divorce attorneys often use search services. Particularly in divorce cases, asset searches can have a positive impact by helping to ensure equitable settlements and providing a new resource to locate “dead-beat dads (and moms)” and their assets. Interestingly enough, the growing social trend toward self-help positively affects asset search firms. More frequently, individuals are soliciting the services of asset search firms without the assistance of their attorneys. These individuals approach asset search firms directly for a variety of reasons, including in response to feelings that attorneys have not taken enough aggressive action. Often, the person wants as much control over the discovery of assets as possible. Other trends have provided business for asset search firms as well. Most notably, the dramatic increase in business and personal bankruptcies has resulted in record real estate, commercial and consumer loan and credit card defaults. Many government agencies, banking institutions, asset management firms, as well as the law firms retained by those organizations, are important consumers of asset search and information services. Asset search firms are retained to verify financial statements and discover hidden assets of the individuals and companies making up defaulted debtor lists. While many of these people and organizations have suffered serious financial hardship, a significant proportion have sheltered or otherwise hidden their assets from loan workout people. In cases where account officers believe the debtor is dealing in good faith, asset search firms are retained to make only the most basic of checks. In cases where the defaulted debtor is suspected of hiding or not disclosing assets, on the other hand, some officers choose to authorize more thorough searches. The expanding ranks of attorneys are investing in a full range of legal support services, including private investigation and asset search firms. These services have blossomed to meet the varied needs of the legal community. They enable law firms of all sizes to subcontract those tasks not requiring an attorney’s personal attention. As specialists, these firms are able to more cost effectively complete critical projects accurately and on time. Consequently, law firms are integrating these services into their practices in order to increase profitability and more zealously represent their clients. These are things like vehicles, equipment, inventory, phone systems, computers, bank accounts, stocks, bonds, paid-up insurance policies – items of value a person buys or comes into possession of by one means or another. Except for personal property that must be licensed, like vehicles and boats and airplanes, “ownership” of an item is usually determined by “possession”. Proof of ownership may be a sales receipt or a canceled check or a bill of sale. Most everyone agrees: possession, especially long-term possession, is nine-tenths of the law. “Assets can be money in banks, stocks, bonds, that new car with no lien on it: anything that someone can attach. Your bedroom set, your living room furniture. Everything you own is an asset. Intangible Personal Property Includes items such as patents, royalty agreements, promissory notes, contracts, accounts receivable, wages, or other income. Note: Many Americans have more than one bank account, insurance policy, brokerage account, and safety deposit box. An individual’s tax return can be a good source of information about bank accounts, limited partnerships, and investments paying dividends or interest. If you’ve won a judgment, but have run into difficulty collecting the court-ordered sum, consider conducting an assets search. Our experts recommend conducting an assets search before suing, to make sure the assets will be available, should you win a judgment. Do an assets search before taking possession of an automobile or a boat that has a lien against it. You may be liable for the lien. As a means of locating a person. Before filing for divorce, to learn exactly what property and possessions are owned and by which parties. If you are a business person considering investing in a new venture, or are thinking of taking on an investor, or going into a joint venture, or considering a merger. . . You should certainly conduct an assets investigation. Most state child support enforcement agencies do not have the resources to track down parents who evade their support obligations. However, if you locate the deadbeat, the state will close in right away and collect the money for you. How to Investigate connects you to every state agency responsible for collecting child support. An assets search can aid in collecting child support owed to you. You can turn information discovered over to child support enforcement agencies, who in turn will attach those assets. Wages are considered assets and can be garnished. “The mother with children will have the father’s telephone number and that’s all. Find out where he lives and where he works. Sometimes a pretext telephone call will do it. Try to get someone on the phone who will talk your ear off. She’s dying to tell you where the guy works. Get the information that way. “Fathers have been able to hide from the courts for a long time. That’s changing now. Hard-to-find people who don’t want to pay get better and better at not leaving a paper trail. It’s almost always best to start your search at the local level: the city or county where the filing took place. These records, listed in descending order of importance, will most often provide valuable search data. Salaries and wages are considered assets. If you’ve won a judgment in court, a writ of garnishment can be issued so that the debt can be collected. If bank accounts are located, the court will enforce the provisions of your judgment. For example, bank accounts with a matching SSN will be frozen. Asset location has been a necessary resource to lenders, investors, the government and creditors for years. The largest creditor in the United States is undisputedly the Internal Revenue Service (IRS), where auditors, field agents and CID agents have for years attempted to locate assets to satisfy levies, liens, tax fraud or tax evasion matters. Other government consumers of asset location services have included the Federal Depository Insurance Corporation, bankruptcy trustees, Resolution Trust Corporation, Small Business Administration, student loan authorities, the state departments of revenue and more. When is an asset considered “hidden?” When it has been moved or transferred intentionally, to defraud, hinder, or delay a creditor (or, in cases, a spouse); when it has been moved beyond a rightful owner’s reach. The most common hiding places for assets are: Under aliases, With relatives, friends, and partners, Home mortgages, Universal life insurance, Savings bonds, travelers & cashiers checks, Safety Deposit Boxes, in Dissolved corporations, Stockbroker accounts, in Collectibles & Antiques, Offshore/foreign accounts, Overpayments to IRS, Sweetheart lawsuits, Overpayments to credit cards, using cars, yachts, aircraft, jewelry and other investments under $10k.. Most of the time, we find, hidden assets are of the liquid variety — in bank accounts, stock and bonds, mutual funds. Other venues include real property like houses and land, as well as vehicles. Less frequently, defendants try to move assets out of the reach of creditors, litigants or “enemies” by hiding these assets cleverly in such places as life insurance, annuities, offshore accounts, mortgage or credit card pay-downs, or most commonly, by transferring assets to a spouse, friend or business entity. The most sophisticated asset-hiding schemes involve transfers to living trusts or offshore trust accounts. Assets that are transferred deliberately to avoid payment to creditors, litigants or other parties are generally called “preferential” or fraudulent transfers. If these transfers occur in anticipation of or shortly before or during litigation or bankruptcy, they are reversible in most states under the Uniform Fraudulent Transfer Acts (UFTA). There are completely legitimate ways to shield and transfer assets away from creditors, but these trust or estate plans are set up by asset protection or estate professionals well outside of the duress modes of litigation, bankruptcy or judgments. The Art of Financial Discovery and Asset locating is particularly potent in the hands of a seasoned professional. Most of the time, the person skip-tracing has already gathered a dossier of their own, profiling the subject’s financial status and character. Financial research preparatory to the asset search obtaining such documents as loan or mortgage applications, tax returns, credit reports (where FCRA permitted). Telephone records, and useful data can be obtained in the subject’s trash (Note: digging in someone’s trash for information may be against the law in some areas) and many other methods are used to obtain information. Some use this initial information as the starting point, along with searching public records for information in such areas as employment, age, education, lifestyle choices, region & places frequented, financial & character history, and even as a means of discovery very private information. Trained skip-tracers will attempt to obtain as much data as possible about the subject’s habits, interests, employment, and affairs. A word of advice. Always conduct investigations “Skip-Tracing” only for legal purposes in a legal manner, and in a professional way. In any legal search, asset information and the like, it is typically to be used to support civil or criminal legal proceedings. Once a search proceeds in the legal arena, it may be followed up with subpoenas for information or restraining and attachment notices. Asset locators can also find waivers, releases and disclosure agreements that are a normal part of most loans, leases and litigation. Most asset locators will attempt to determine exact whereabouts and physical location of property; the exact title or legal description; account numbers (if applicable); and approximate worth or balances. Account numbers are important so that the justice system doesn’t subpoena the wrong account. The balances are useful to monitor for fraudulent conveyances.You Have To Be Careful When Searching For assets. For Example, Collection Attorneys could may be sued and some could go to jail for hiring an investigator to find out information about a debtor’s bank accounts, under a bill that was introduced in the House. Currently, a variety of laws make it difficult to get information about debtors from banks by prohibiting lawyers and their employees from (1) telling the bank that the debtor owes a debt or (2) obtaining the information under false pretenses. Under the bill, a lawyer could be liable for: (1) actual damages sustained by the bank or the debtor as a result of the lawyer’s actions or (2) any compensation the lawyer received as a result of the violation, whichever is greater, plus reasonable attorney fees. A lawyer could also face criminal fines and/or up to five years in jail. These penalties could be doubled if the attorney was also engaged in other illegal conduct involving more than $100,000. States would be permitted to sue for statutory damages of up to $1,000 per violation and attorney fees. The bill is H.R. 30, the “Financial Information Privacy Act of 1999,” sponsored by Rep. James Leach, R-Iowa. Professionals and other individuals holding substantial amounts of assets exposed to litigation and creditor risks may try to protect their personal net worth through the conveyance of gifts to trusts such as the Multi-Generation Trust (MGT) and the International Offshore Estate Planning Trust (IOEPT). When using the MGT, the grantors assign their spouses and children as beneficiaries. They contribute gifts into the trust using both their own unified credit equivalent of $600,000 and that of their spouses to the extent available. Additional yearly tax-free gifts are made to the trust equal to the amount of the available yearly per donnee (donation) exclusions. The IOEPT, on the other hand, has been used by individuals when they prefer to be both the controller and the beneficiary of the funds. This trust is protected from creditors and not included from their estate for federal estate taxation.It has become exceedingly difficult for business people and professionals to conduct their affairs without exposure to the hazards of litigation and creditors arising both inside and outside their businesses. Litigation Proliferation Professionals and their insurers and other high net-worth individuals appear to be deep pockets of last resort, readily available to compensate individuals, entities, or public bodies for any loss, real or imagined. In addition to tort liability arising out of professional practice, other liabilities arise out of the business activities or personal affairs of the professional or high-net-worth individual. To finance daily operations, professionals and individuals borrow substantial sums from the banks and other creditors, loans which the individual members of a firm may be required to guarantee. Individuals also face claims by creditors that arise in the ordinary course of their personal lives or perhaps out of unfortunate investments made in happier times with borrowed funds. Some claims may arise merely from “status.” Most notorious of these are environmental claims whereby bare titles owners or lessees of real property may be liable to state and Federal agencies for unlimited costs of alleged pollution clean ups.It is beyond the ability of any individual single-handedly to divert the current stream of litigation. However, those who are aware of the problem have minimize exposure to attack by the manner in which assets are held. Many loopholes exist and are available for those who love “Technicality” & understand how to manipulate the system. Simply put, we should owe no man anything. If you can find any information that would help bring about Fairness, and Equitable Justice, and it is something that may help preserve Integrity, Honor Morals, and Ethics, “Foursquare,” then a skip-tracer should do their best to find it and help bring it about. Investments in Exempt Assets; Gifts and Fraudulent Conveyances are commonly used as a means to hide assets . You will need to know how it is done if you want to know where you can get the information you need to locate what your looking for. Individuals with litigation risk sometimes invest to the greatest extent possible in assets which, under applicable state and Federal laws, are exempt from the claims of creditors. Qualified retirement plans governed by ERISA are to a large extent protected in bankruptcy proceedings. (Some plans established by closely held corporations may not be governed by ERISA and thus may not be protected.) Qualified plans may include certain pension plans, profit sharing plans, 401(k) plans, and Keogh plans. Although not governed by ERISA, IRAs in some states are exempt by statute. In some states, a principal residence, no matter how valuable, is completely exempt from creditors. Certain states exempt annuities and life insurance policies from creditors. Again, remember each high- net-worth individual has most likely consulted with an experienced legal counsel to obtain advise and they probably have a list of those assets exempt under law from attack by creditors and protected in bankruptcy. The International Offshore Estate Planning Trust is another area to be aware of. Some have created trusts governed by the law of a jurisdiction that has different rules of law. The international offshore estate planning trust (IOEPT) is just such a trust. The IOEPT is a trust created under the laws of certain English speaking common law jurisdictions located outside the U.S. such as the Bahamas, Cayman Islands, and Bermuda. These jurisdictions uniformly impose no income, gift, or estate taxes on the IOEPT and its beneficiaries. In many ways the IOEPT is similar to the multi-generational trust and like the MGT uses the unified credits of the settler and his or her spouse, as well as their per donnee Crummey exclusions, to fund and build the trust into a very substantial asset. Like the MGT, the IOEPT is a totally discretionary trust. The trustee accumulates or may distribute income and principal to any of the named beneficiaries. Like the typical MGT, the IOEPT offers absolutely no U.S. income tax advantages to the settler during his or her lifetime. But unlike the MGT, the IOEPT includes the settler among its beneficiaries. Typically, the IOEPT grants broad limited powers of appointment to one or more of the beneficiaries (but never the settler). Although an IOEPT usually contains secrecy and non-disclosure provisions, thus assuring the settler of substantial privacy, corporate fiduciaries commonly request U.S. settlers to waive such provisions when the inquiry emanates from the U.S. government or one of its agencies. The IOEPT will also contain anti-duress clauses that enable the trustee to ignore requests or instructions when made under coercion, such as pursuant an order by a court that does not have jurisdiction over the trustee. The typical trustee of an IOEPT is a bank incorporated as a trust company in the foreign jurisdiction. Although the corporate trustee may be part of a bank holding group which does business throughout the world, including the U.S., the trustee itself is usually careful to have no presence in the U.S. and not to conduct any business on its own behalf or on behalf of the IOEPT within the U.S. The trustee may hold and invest the trust corpus directly. In the alternative, the assets may be held by the trust in a corporation organized in a tax haven country (e.g. Cayman Islands), the stock of which is wholly owned by the trust or held by a limited partnership, the limited partnership interest of which are in turn held by the trust. Maximum protection from creditors and changing local laws or governments is achieved by locating the assets of the trust in a jurisdiction different from the domicile of the trustee and by providing in the trust a mechanism to change trustees, jurisdictions or applicable law in the event of an emergency. In addition to the trustee, the IOEPT has a “protector” who is a person or corporation but who is not a trustee or beneficiary. The protector may exercise certain powers alone, and the trustee may exercise certain powers only with the consent of the protector. Typical of these powers are those to change trustees, change jurisdictions, and add or subtract beneficiaries. The role of the protector is unique to foreign trusts. No one plays such a role under U.S. trust law. It is said that the laws of all the various offshore jurisdictions used for IOEPT purposes, to one degree or another, provide that the settler’s creditors have no right to reach a trust even though the settler is a beneficiary. This, of course, presupposes the transfer into the trust was not a fraudulent conveyance. In some jurisdictions, however, the fraudulent conveyance law is more favorable to the debtor than U.S. law. In certain jurisdictions, statutes have been enacted precluding future unknown creditors of the settler from bringing a fraudulent conveyance attack and, in addition, statutes have been enacted requiring creditors of the settler to bring actions within a relatively short period following the actual transfer of property into the trust. The prudent U.S. attorney will not allow a client to establish an IOEPT without first obtaining a favorable opinion from experienced local legal counsel in the jurisdiction in which the trust is organized. The opinion of local counsel will generally cover such topics as the validity and enforceability of the trust, the inability of present and future creditors of the settler to reach trust assets (assuming no fraudulent conveyance), the absence of local taxation, and whether legal issues such as those pertaining to the bona fides of transfers to the trust will be governed by U.S. or local law. Under IRC Sec. 679, the IOEPT described above is a grantor trust. As may be true for the MGT, grantor trust status may be deemed a substantial advantage and may facilitate the growth of the IOEPT. However, even though it is a grantor trust, a foreign trust may not be a shareholder of an S corporation and, accordingly, a settler may not transfer S stock to his or her IOEPT. To permit transfers of S stock, many practitioners, by adding U.S. trustees and other features, have sought to draft IOEPTs that are not deemed “foreign trusts” under IRC Sec. 7701(a)(31). Avoiding “foreign trust” status for an IOEPT is akin to navigating a deep keeled boat in shallow waters. It is dangerous, there are no clearly established criteria, and the Service refuses to rule on the issue. It’s best to check with IRS to get the facts. IOEPTs are subject to certain specific reporting requirements and excise tax provisions. Under IRC Sec. 6048, an informational return (Form 3520) must be filed upon the creation of an IOEPT and upon each transfer of assets into the trust. If appreciated property is transferred and the excise tax discussed below applies, a Form 926 must be filed. Because there are U.S. beneficiaries, an information return (Form 3520A) must be filed annually. Further, even though it is a grantor trust, the IOEPT must file each year a nonresident individual Federal income tax return (Form 1040NR) adapted for use by a trust. The IRS held the transfer would be a taxable gift and, in addition, would be excluded from the estate of each settler upon the settler’s death even though the trustee of the trust had the discretionary power to distribute all or none of the income and principal of the trust to either or both settlers as well as to any of their issue. Under the subject IOEPT, the trustee had the power, with the consent of the protector, an unrelated U.S. person, to add or delete beneficiaries. In addition, the mother of the settlers was both a beneficiary and the holder of a broad limited power of appointment. Thus over time, if circumstances were to change, the terms of the IOEPT could be varied by the mother’s exercise of her power to consider changed circumstances. Under the facts of PLR 93-32006, if the settlers’ business grows to be worth $10,000,000 and then is sold, the partnership upon disposing of the underlying business can distribute the $10,000,000 to the IOEPT. The settlers would then be beneficiaries of settlers $10,000,000 trust which would be beyond the reach of their creditors and no portion of which would be included in the estate of either settler upon death. With these useful tips on How to Conduct a Stake-Out & Surveillance you yourself can be a private eye. When conducting your own stake-out or surveillance, make sure to “cover your bases” before you begin. Make sure you plan ahead and have any necessary items with you. If you are conducting surveillance for court purposes, be sure to document time and location of your stake-out or surveillance. As a precaution, non-professionals should only attempt Relationship Investigations surveillance. · Always carry a digital camera, some sort of recording devise, binoculars, and paper with a pen for notes. · Be unnoticed—Conduct the stakeout from a rented car if possible. Try to find one with tinted windows. · Conduct a “spot check”—Drive by the location one time before setting up your position. · Park on the opposite side of the street—this will make you less noticeable to people. · Jump in the back seat—this will appear that you are waiting for someone. If you have tinted window, you will go more unnoticed. · Bring a friend or two to help—this looks less suspicious and they may help you see something you missed. · Try to notice any suspicious activity coming from the person or building you are observing. Record whatever you see so you have visual evidence of the person or people you are looking at. · Get a plain looking “paper plate” from a local car dealership can be a helpful when going undercover. · Bring adequate water and snacks, you may be out there a while. · A viewing or recording device is usually handy. · Someone may approach you; have a good story made up about why you’re out there-carry a map with you-pretend you are lost. · Wear sunglasses and a baseball cap to disguise your face and hair-be sure NOT to wear bright colors or “fancy” sunglasses. · If a subject uses an elevator, do not press a floor button; or choose the one for the top floor subject. · When following at night, if you get a chance, put a piece of reflector tape on the rear of the subject’s car to insure you are following the right car. · Always top off your tank before you start—you never know how far you may have to follow. · Carry bridge toll money-if necessary. Is She For Real – A 007 Agent? Here is Fox News interviewing me for their News Program. Am I a Secret Agent – Not Quite but I can assist you with Background Checks, Child Abduction Recovery, Asset Searches, Missing Persons Location and more. 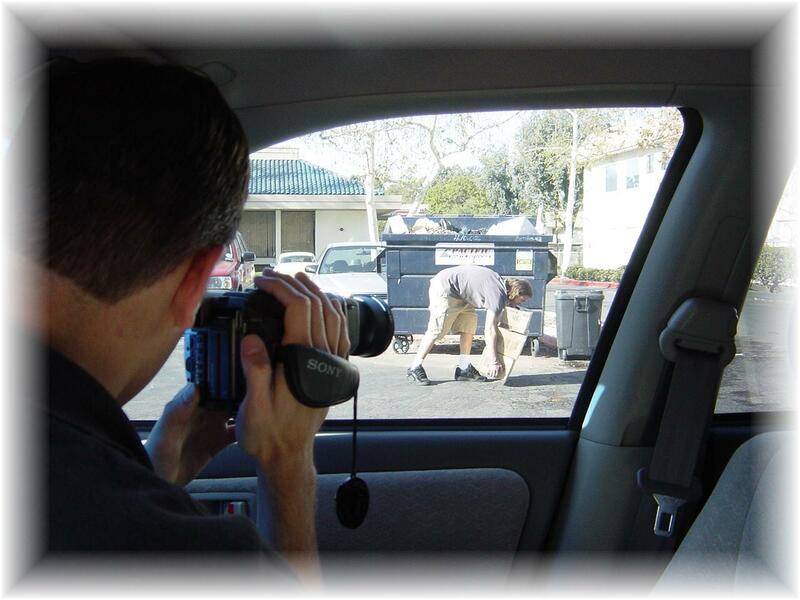 Private Investigators do more than you think!